• Participated in team (U-17) girls position in 58th National School Games held at Aurangabad, Maharashtra from 1st to 5th January. • Participated in U-18 Girls in 74th JUNIOR & YOUTH NATIONOAL TABLE TENNIS CHAMPIONSHIP held at Guwhati, Assam from 15th to 20th January. • Secured 1st position in U-17 Girls individuals and 2nd position in u-17 Girls team in 59th National School Games held at Tadepalligudem, Andhra Pradesh from 2nd to 6th October. • Secured 2nd position in U-19 Girls individual and 2nd position in U-19 Girls team in CBSE National Table Tennis Championship held at The Emerald Heights International School, Indore, Madhya Pradesh from 8th to 12th December. • Secured 3rd position in U-18 Girls Doubles in 75th JUNIOR & YOUTH NATIONOAL TABLE TENNIS CHAMPIONSHIP held at Alppuzha,Kerala from 25th to 30th November. • Secured 1st position in team(U-14) and 1st position in individuals (U-14) in NATIONAL LEVEL INTER-DPS TABLE TENNIS CHAMPIONSHIP at DPS Navi Mumbai from 4th to 6th May. • Secured 3rd position in team (U-19) girls in CBSE National Table Tennis Championship held at D.A.V. Model School Durgapur from 25th to 29th November. • Participated in U-14 Girls in Cadet Girls team (U-12) in 73rd Cadet & SUB-JUNIOR NATIONALS & INTER-STATE TABLE TENNIS CHAMPIONSHIP held Ajmer, Rajasthan from 24th to 29th December. • Participated 74th JUNIOR & YOUTH NATIONOAL TABLE TENNIS CHAMPIONSHIP held at Abhay Prashal, Indore Madhya Pradesh from 5th to 10th February. • Participated in U-14 Girls in Cadet Girls team (U-12) in 72nd Cadet & SUB-JUNIOR NATIONALS & INTER-STATE TABLE TENNIS CHAMPIONSHIP held at KDTTA Indoor Stadium, Gandhidham from 16th to 21st January. • Secured 2nd position in team (U-14) girls position in 58th National School Games held at Thyagraj Indoor Stadium, Delhi from 2nd to 8th January. • Secured 3rd position in team(U-14) position in 57th National School Games held at Rajkot, Gujarat from 16th to 21st January. • Participated in U-18 Girls in INDIAN OIL 73rd JUNIOR & YOUTH NATIONOAL TABLE TENNIS CHAMPIONSHIP held at Siliguri Municipal Corporation Indoor Stadium from 3rd to 8th January. • Participated in U-14 Girls in Indian Oil SERVO National Ranking Table Tennis Championship (South Zone) held at Kanteerva Indoor Stadium, Banglore, Karnataka from 4th to 9th September. • Participated in U-14 Girls in NATIONAL RANKING TABLE TENNIS TOURNAMENT (NORTH ZONE) held at Thyagraj Indoor Stadium, Delhi from 26th November to 1st December. • Secured 1st position in team (U-16) girls in CBSE National Table Tennis Championship held at Durga Public School, Solan, Himachal Pradesh from 28th October to 1st November. • Secured 3rd position in Cadet Girls team (U-12) in 72nd Cadet & SUB-JUNIOR NATIONALS & INTER-STATE TABLE TENNIS CHAMPIONSHIP held at Abhay Prashal , Indore Madhya Pradesh from 3rd to 8th January. • Secured 3rd position in team (U-14) position in 56th National School Games held at Nashik, Maharashtra from 13th to 17th January. • Participated in U-14 Girls in NATIONAL RANKING TABLE TENNIS TOURNAMENT (NORTH ZONE) held at Sher-e-Kashmir Indoor Stadium, Kashmir from 7th to 12th July. • Secured 1st position in team (U-14) and 1st position in individuals (U-14) in NATIONAL LEVEL INTER-DPS MULTI SPORTS MEET at DPS Ranchi, Jharkhand from 16th to 19th October. • Participated in U-14 Girls in NATIONAL RANKING TABLE TENNIS TOURNAMENT held at KPT’s SVP Auditorium, Gopalpuri, Gandhidham from 22nd to 27th November. • Secured 3rd position in Sub-Junior Girls team (U-14) in NEW INDIA ASSURANCE 73rd Cadet & SUB-JUNIOR NATIONALS & INTER-STATE TABLE TENNIS CHAMPIONSHIP held at Rajiv Gandhi Indoor Stadium, Cochin, Kerala from 8th to 13th December. • Participated in U-14 Girls in Indian Oil SERVO National Ranking Table Tennis Championship (South Zone) held at Kanteerva Indoor Stadium, Banglore, Karnataka from 28th July to 1st August. • Secured 1st position in team(U-14) and 2nd position in individual(U-14) in All India IPSC Table Tennis Tournament held at Phoenix Public School, Belgaum, Karnataka from 25th to 27th September . • Secured 2nd position in team (U-14) and 2nd position in individuals (U-14) in NATIONAL LEVEL INTER-DPS MULTI SPORTS MEET at DPS Allahabad, Uttar Pradesh from 26th to 29th October. • Participated in U-14 Girls in NATIONAL RANKING TABLE TENNIS TOURNAMENT (NORTH ZONE) held at Yamuna Sports Complex, Delhi from 19th to 23rd December. • Secured 3rd position in team (U-14) position in 55th National School Games held at Godhara, Gujarat from 8th to 13th October. • Secured 2nd position in Cadet Girls team (U-12) in 71st Cadet & SUB-JUNIOR NATIONALS & INTER-STATE TABLE TENNIS CHAMPIONSHIP held at Jawaharlal Nehru Multipurpose Indoor Stadium, Chennai, Tamil Nadu from 21st to 26th December. 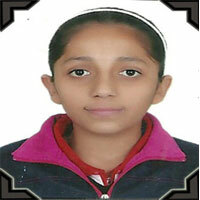 • Participated in U-14 Girls in National Level Inter-DPS Table Tennis Championship 2009 for Girls (U-14) organized at DPS Ranipur, Uttrakhand from 31st July to 2nd August, 2009. • Secured 1st position in team(U-14) and 2nd position in individual(U-14) in All India IPSC Table Tennis Tournament at Pinegrove School, Himachal Pradesh from 10th to 13th August . • Participated in Cadet Girls (U-12) in the 70th Cadet & Sub-Junior National Table Tennis Championship held at D.R.M.C. Indoor Stadium, Vijaywada, A.P. from 24th to 30th November.